Additive manufacturing is becoming increasingly important both in industry and in research. But in many cases it is unclear what this term actually means. This article provides an introduction to additive manufacturing, how it works, and where it is used. Additive manufacturing is playing an increasingly important role in the manufacturing industry. Additive manufacturing processes are used above all in toolmaking and prototype construction. Subtractive Processes (something is removed): Milling, lathing, etc. Formative Processes (a material is redesigned): Casting, forging, etc. Additive Processes (something is added): 3D printing, etc. 1. The component is made up of different layers. Usually the process is carried out from bottom to top. Simply put, it uses the same principle as for the building of sand castles: A new layer is applied to a building platform in order to build a tower. 2. Different processes take place repeatedly in layers (i.e. one after the other). This involves the feeding of the material, the melting (shaping), and finally the bonding with the previous layers. These steps, called the process chain, are the same regardless of which machine is used for additive manufacturing. The only difference is the way the individual layers are created. Additive manufacturing thus enables the creation of 3D objects. To make this possible, the machine first requires the 3D design specifications ("three-dimensional CAD") of the part to be produced. The respective data set consists of the outline data (length x, height y), the number of layers (z) and the layer thickness (dz). It is the task of the corresponding computer program to divide the model into suitable layers. The software then transmits the data set to the machine in the form of production instructions, e.g. the printer for 3D metal printing. Definitions for 3D printing sound very similar to the above explanations of additive manufacturing. Nevertheless, it is not correct to use 3D printing as a synonym. Rather, 3D printing is an additive manufacturing process. For this reason, this also applies to 3D metal printing as a type of 3D printing using liquid metal. But there are more than 20 different additive manufacturing technologies. Therefore, the following simple rule of thumb applies: For example, 3D metal printing, which is often used as a generic term for additive manufacturing, is always a form of additive manufacturing. However, additive manufacturing is not always 3D metal printing. It involves more than that: It comprises all additive technologies. In almost every case, additive manufacturing a uses a powder bed. This means that a powdered material is fed into a bed where it is further processed. In 3D metal printing, for example, a metal (or several metals) is reduced to a powder before it is fed into the chamber and rebuilt. There are four common methods of producing the layers from the powder. 1. Selective Laser Sintering (SLS): Sintering involves the heating of materials under pressure, but not to the point of melting them. Laser technology makes it possible to create three-dimensional geometries by using undercuts. Usually CO2 or fiber lasers are used to do this. 2. Selective Laser Melting (SLM): The powder is heated by a high-energy fiber laser and then cooled down. The shape of the components is created by the targeted deflection of the laser beams. SLM is being used more and more frequently than SLS. Since no pressure is applied, the objects exhibit a higher strength and are therefore more durable. 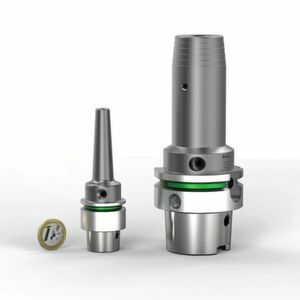 In Germany, this process is mainly used in the power generation industry and in the construction of tools. This process is frequently used for 3D metal printing. 3. Electronic Beam Melting (EMD/ EBM): In principle, this method is similar to SLM. However, this application uses an electron beam and not a laser beam. The entire process takes place in a vacuum. EMD is faster than SLM, but less precise and has a lower maximum print volume. EMD machines have an average diameter of 350 mm and a height of 380mm. SLM machines are twice as large. EMD is particularly are an ideal additive manufacturing technology whenever small parts have to be produced in large quantities. This process is also often used for 3D metal printing. 4. Binder Jetting: The powder is selectively deposited with a liquid binding agent to form the layers. This process has the advantage of allowing a very simple construction in different colours. 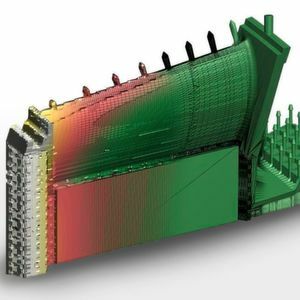 - Stereolithography: This is a classic case for additive manufacturing. The process had already been developed by Chuck Hull in 1983. The object is gradually lowered into a liquid photopolymer bath. It is processed by a laser. 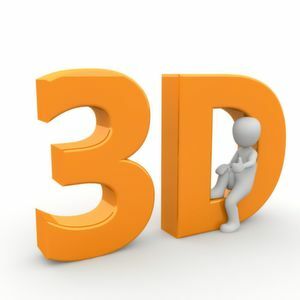 - Fused Layer Modelling (FLM): This is the usual procedure for 3D printing (with plastics). This is a special extrusion process in which the material is "pressed" out of a nozzle to form after cooling. As usual, extrusion takes place in layers. In the automotive or electronics industry, for example, FLM often supplements SLM objects. 3D metal printing can be supplemented by FLM for example. 1. Rapid Prototyping: Additive manufacturing is used to enable the rapid construction of a model. There should be physical models available at an early stage in the development of a product. Rapid prototyping allows these models to be produced in a particularly reliable manner. 2. Rapid Tooling: In Germany, small series tools for injection molding and metal casting are usually produced by means of 3D metal printing. 3. Rapid Manufacturing: This involves the rapid production of objects that are used as end products or components. Unlike rapid prototyping, no models are generated, but ready-to-use parts. This application is common in medicine and dentistry. The additive manufacturing process is used to produce dental bridges or implants, for example. Various standards are used to ensure that additive manufacturing in general and 3D metal printing in particular meet certain quality requirements. These include ISO/ ASTM 52901 - 52903-3, 52910, 52195 and 52921, which cover the entire process chain. In the German-speaking countries, additional DIN regulations will soon be in place: the German Institute for Standardization announced at the end of September 2018 the establishment of an advisory board for additive manufacturing. In addition to the existing ISO standards, guidelines on legal development, and the financial framework are to be issued. For Switzerland, the Swiss Additive Manufacturing Group (an association of companies that use additive manufacturing) is participating in the standardization talks, which take place under the umbrella of CECIMO with the aim of promoting quality assurance in additive manufacturing and 3D metal printing in particular. - Individualization: Objects can be customized as desired. For example, it is possible to produce walls with varying thicknesses, very fine structures or very small dimensions. Individualization is particularly important in medical technology. For instance, a surgeon can have instruments exactly tailored to his needs. - Greater Freedom of Design: It is possible to realize complex geometries using 3D metal printing, which would not be possible using other manufacturing processes. This includes, for example, cavities, undercuts, channels with arches or overhangs. It used to be the case that the design of an object had to follow the limitations of the manufacturing possibilities. This constraint is largely eliminated with additive manufacturing. This is a great advantage, especially in 3D metal printing. Apart from the machine, no tools are needed. - Finishing is Unavoidable: If an object requires a certain surface quality, post-processing is inevitable. The same applies if certain tolerances are to be maintained. There is still no standard for this (ISO/ASTM 52195 could, however, be further elaborated in a corresponding way). Especially in the case of 3D metal printing, finishing can be extremely time-consuming. 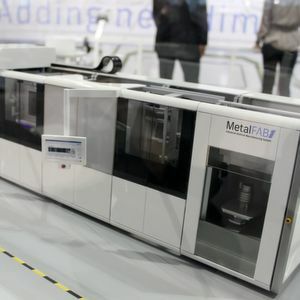 - Limited suitability for industrial mass production: For instance, 3D metal printing usually allows a maximum of two objects to be produced in one machine at the same time. Conventional manufacturing methods, on the other hand, allow much larger quantities to be produced. For industrial mass production, additive manufacturing is therefore only suitable to a limited extent. The best example of this is automotive production: Theoretically, an entire vehicle could be produced by additive manufacturing. Due to the large number of components, however, this would be far too expensive. For this reason, most components continue to be manufactured with conventional methods. It is noteworthy that the experts in additive manufacturing list the costs both as advantages and disadvantages. The machines cost CHF 17,000 to CHF 120,000. In comparison with other machines, this is a favorable price. This is still the case if maintenance costs are included. Especially in medical technology, additive manufacturing therefore offers a significant cost advantage. Things are different in industrial applications. In this area, for example, 3D metal printing supplements conventional production systems. However, they cannot completely replace them. Here, additive manufacturing causes additional costs. Additive manufacturing has a great future ahead of it. SAMG summed it up this way: The current development of additive manufacturing has already surpassed the predictions made in studies carried out in previous years. Renowned research institutions such as ETH Zurich are convinced that 3D metal printing will become increasingly important in mechanical engineering and toolmaking. The aim is for additive manufacturing to become fast and precise enough to be suitable for series production. At present, the possibilities of additive manufacturing still compete with CNC-controlled machines, which are still better suited for series production. The long-term goal is for 3D metal printing of complex objects to overtake CNC in the future.